Static methods are the methods which belong to the class rather than to object or instance. Which in other words means that all instances of the class share same behavior defined in the static method. So you don't need to create an instance or object of a Class to invoke a static method. So if static methods do not need an object to be invoked, it does not make much sense to put them in a class, because a class is a blueprint for all the objects which belongs to that class. So what if we could put all the static methods in an interface rather than in class. Good news is, Java 8 allows that. 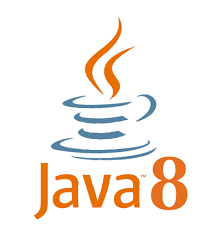 With Java 8, we can put our utility methods which we used to put in a class, now in an interface. The syntax is just like any other static method. The main reason to allow the addition of static methods in the interface is to have utility methods in the interface rather than in the class. Before Java 8, if we were to define some utility methods, we were creating a class and defining utility methods in that class and because we knew that it does not make sense to create object of a class having only utility methods, we were making constructor of that class as Private and marking the class as final, so that it could not be inherited, because we know that static methods are not inherited,so better mark it explicitly, so that just by looking at the class, one can know that this class could not be inherited. Stream is a sequence of elements from a source which supports aggregate operations. So every Stream will have one Source and one destination. Data flows from source to destination via Stream. Following excerpt from Oracle Documentation describes very well ,the difference between Collection and Stream. Stream can be created in multiple ways. We will see one of the ways which are used most frequently and will discuss rest in another post. As we can see from above diagram that a new default method stream() has been added in Collection interface and as List, Set, Queue interfaces extends Collection interface,so all these interfaces, in turn, has stream method, which can be used to create Stream from these collections as source. The main purpose to introduce Stream API in Java is to have less verbose code to perform operations on a group of data like Collections, Array and to make use of multi-core processors(using parallel stream) without the programmer needing to write a single line of multithreading code, hence improvement in performance. Say you have a list of elements(Strings) and want to have a distinct list of elements. Following we will see how you will do it before Java 8 and with Java 8.
distinct() and collect() are the stream operations. distinctList is the destinition List. As we can see from above example that with Java 8, code to operate on Collection is more like query rather than a lot of boilerplate code. Just like in SQL, we need not write logic to find maximum from a collection of elements.Sql provides max() function for that. Similarly, Java 8 streams provide lots of aggregate functions which we can chain as well to do multiple things in a single line. The advantage of this approach is that this code is less verbose and it makes use of multicore processors as well, hence improvement in performance as well.